I normally think of Caprese salad as strictly a summertime treat. However, this year our garden heirloom tomatoes have been slow to ripen, giving us the makings of a beautiful Caprese salad in the fall. 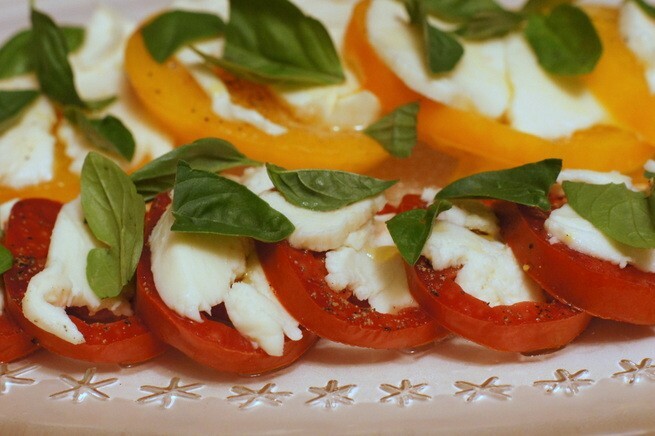 Italy's Caprese salad - named for the island of Capri - is one of the simplest and most delicious things ever. 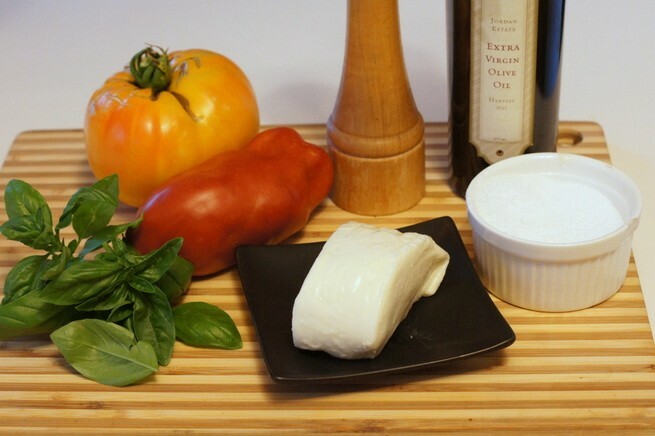 The key to a great Caprese salad lies in it's simplicity and great ingredients. However, people often screw up Caprese salad by adding unnecessary ingredients that hide the simple, basic flavors. For example, in this country, for some reason, many chefs put balsamic on their Caprese. For shame! That would be unheard of in Italy. A real Caprese salad is made solely with tomatoes, fresh mozzarella, fresh basil, salt, olive oil, and (optional) black pepper. That's all. For this recipe I don't specify exact ingredients amounts. You can make Caprese salad using one tomato or one hundred; just adjust the ingredient amounts accordingly. 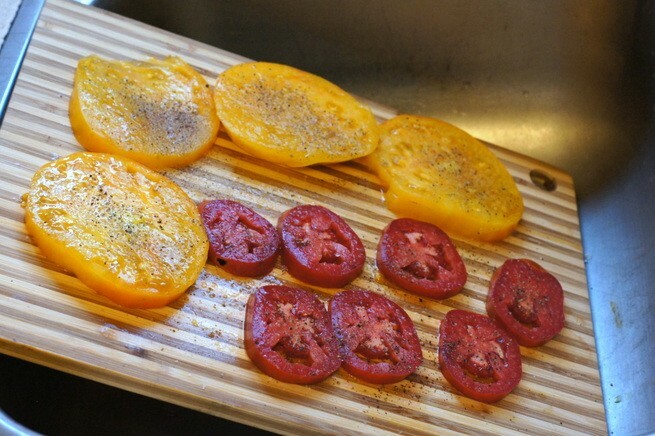 On a cutting board, slice the tomatoes horizontally into 1/4 to 1/3 inch thick slices. 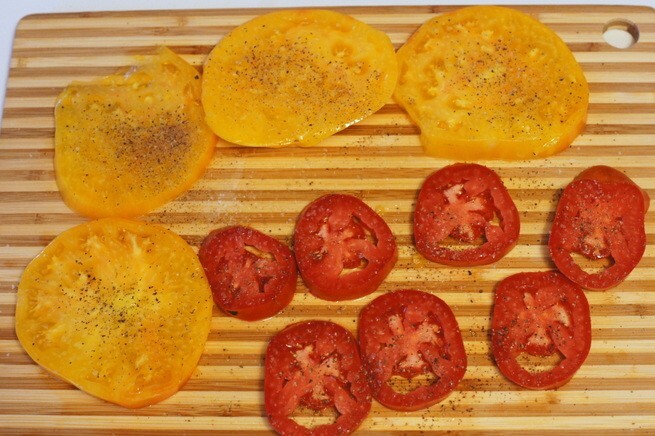 Season the tomato slices to taste with salt and (optional) black pepper. This next step is optional, but I like to place the tomatoes in my kitchen sink at an angle to allow some of the tomato water to drain off before using. 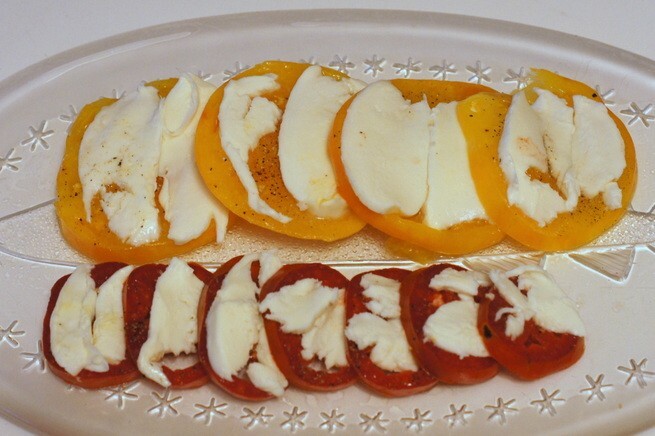 Cover the seasoned tomatoes with slices of mozzarella. Drizzle the tomatoes and mozzarella with extra-virgin olive oil. 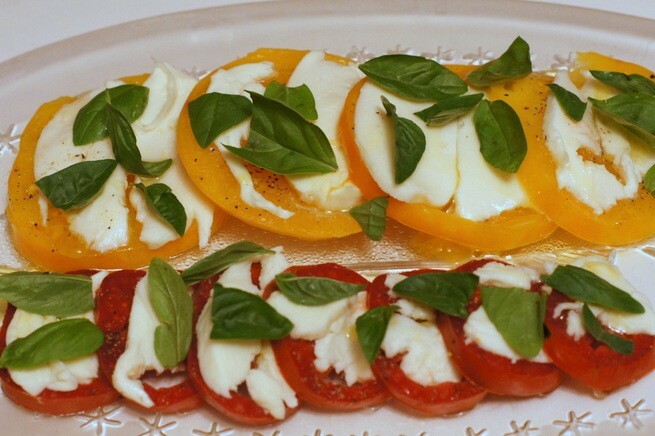 Sprinkle fresh basil leaves on the tomatoes and serve.